Also without an internet connection! Visit us at one of these fairs and look forward to a lot of camping fun. 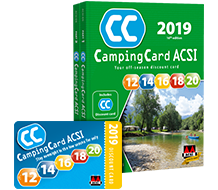 All CampingCard ACSI campsites in one useful app. 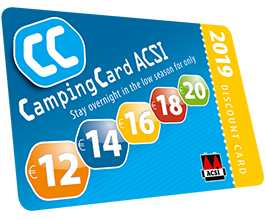 Handy campsite guide including discount card. Did you know you can also book through ACSI? Have you had a great camping holiday? We'd love to hear about it! Are there specific things you're looking for in a campsite? Then take a look through our themes. Germany, France, Italy, the Netherlands or Spain.